Some of you may already be familiar with Rely on Renton and their buy local campaign. Well, Sustainable Renton is now selling the Local Rewards card. If you are not familiar with the program, here’s how it works: (taken from the Rely on Renton site) Local businesses want to reward you for your loyalty and support by offering you special deals on everything from your daily coffee to a new roof for your house. These rewards can save you a few cents on a car cash or a few hundred dollars on car repair. And, the best news is – the cards are valid for one full year! Businesses will post their ever-changing “Rewards” right on the Rely on Renton site. Or you can use the cool mobile app to access them on the go! All you need to do is show your own Local Rewards card to the vendor in order to receive their special reward. You can purchase a Local Rewards card for the nominal price of $15. This card will provide you excellent savings on a great variety of products and services. It’s up to you how quickly this card pays for itself determined by how loyal of a local customer you already are or hopefully will become. You can buy this card in two different ways, 1) you can go to the Rely on Renton website (www.relyonrenton.com) and purchase a card there. During checkout you will be asked which non-profit you would like to donate the proceeds to and you will check Sustainable Renton and then Rely On Renton will make sure that our organization receives the funds. It’s as easy as that. Or you can order one from us by contacting us at sustainablerenton@gmail.com and we will send you a card. Not only can you support Rely on Renton and our local business owners, you can also support some really great non-profit organizations in the process. So, get your card today and buy local to start the savings! 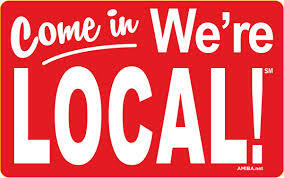 Posted on August 25, 2014 Author Sustainable RentonCategories UncategorizedLeave a comment on Buy Local!